Welcome to Coffee Culture Worldwide, the Indonesian edition. In this article, you can discover the rich history of Indonesian coffee, take a glimpse of the Indonesian coffee production, experience each unique type of Indonesian coffee and perhaps encourage your taste buds to try a coffee made from poop. Yup, poop. Coffee was introduced to Indonesia in the 17th and 18th centuries by the Dutch during their colonial rule. 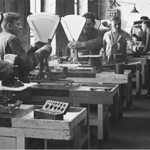 A shipment of arabica coffee seeds were sent to test the soils in 1969. However, due to flooding, the coffee plants did not mature. A second shipment of seedlings were sent in 1699. Plants started to flourish throughout the country and in 1711, the first export of coffee to Europe was made. Indonesia quickly became a dominant country exporting coffee worldwide. 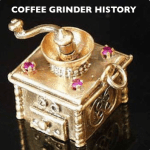 Up to this time, arabica coffee was predominantly shipped from Arabia and Ethiopia. Fastforward to today, the coffee industry provides a fair share of Indonesia’s economy. Most of the farms growing coffee are owned by small shareholders or individual farmers. Up to 90% of the coffee is organic. The development of the Indonesian coffee industry has resulted in colorful coffee culture. There are three distinct regions that produces Indonesian coffee. Each produce varying flavours of coffee bean due to the soil content, cultivation methods, and geographical locations. Java is Indonesia’s largest coffee producer. It is known to produce some top quality arabica beans. 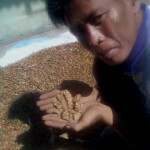 The beans coming from Java can be stored for two to three years which gives them a fuller, rich taste. Coffee beans coming from Sulawesi takes on a traditional method of production. When these Indonesian coffee beans are harvested, they undergo the “dry method” of processing. The dry method involves putting the beans on a large tarp or concrete pad to be dried beneath the sun, often taking several weeks. The beans must be turned every two hours which is done be hand. This method produces a coffee that is full bodied, sweet and smooth. Here’s a name you may be familiar with. Coffee coming from Sumatra, Indonesia is some of the world’s most famous and high qualities. You might have seen them on the market. Does Mandheling or Ankola ring a bell? These Indonesian coffees have low acidity with a heavy, full body. Indonesia serves a variety of delicious coffees. The following are some of the most popular brews you can find in the streets of Jakarta, Yogyakarta, and Bali. In Indonesia, the Kopi Tubruk, a plain brewed coffee, is the most common coffee cupping enjoyed by locals and travellers alike. This coffee is so popular that some companies have packaged the perfect amount into little sachets and distribute them to countries like China, Malaysia, and Singapore. Take two to three teaspoons of fine or medium ground coffee and put it into a cup. Boil water then add it to the cup. Stir, mixing the water and the coffee grounds together. Wait for a few minutes for the coffee to infuse with the water and for most of the grounds to settle to the bottom. Drink up! But, don’t drink the remaining mud at the bottom of the cup (or do, but you’ve been warned). This simple coffee cupping can be enjoyed alone or served for guests. Kopi Joss, known as charcoal coffee, is a speciality Indonesian coffee. After a cup of coffee has been brewed to perfection (likely using the style of Kopi Tubruk), a burning piece of charcoal is added to the cup. The name “joss” is given to the coffee because the word resembles the sounds of the charcoal as it is submerged into the coffee. If you’re visiting Indonesia, the best place to find charcoal coffee will be at the food vendors with the carpets. Pick out your favorite Indonesian foods, or pick them at random, then order a kopi joss and enjoy the flavours of this unique coffee cupping. By the way, some consider this charcoal coffee to be a novelty of Indonesia. But, does the coffee taste of charcoal? Put one in your cup to find out! Here’s a video showing the process of this “charcoal” coffee. The Kopi Jahe, of ginger coffee, is an Indonesian specialty coffee mostly found in Java. This coffee is brewed using ginger and palm sugar. It has a strong, sweet taste and is used for it’s believed medicinal properties. You can find many Javanese sipping on a hot cup of ginger coffee when they have the flu. Because of this coffee’s sweetness and ginger infused flavor, this may be the coffee that converts a tea lover forever. If not, this just might be the perfect coffee cupping to cure the common cold? The best should always be saved for last. Indonesia has a very unique coffee that has become one of the priciest on the market worldwide. Quite literally, this coffee is made from poop. But, before you go spitting your coffee all over your keyboard or smart device, keep reading to learn more. There is a special creature, called the Kopi Luwak (i.e. 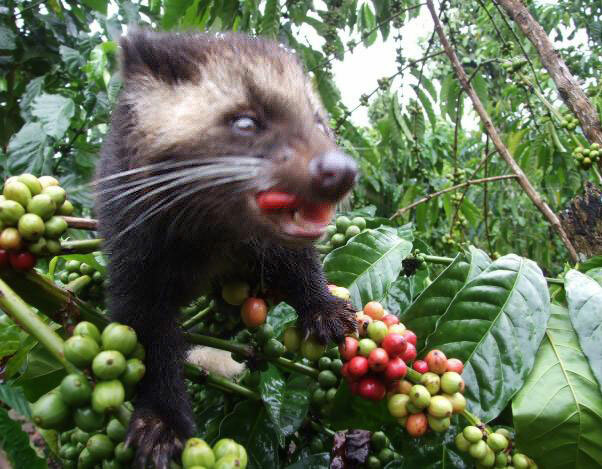 Asian Palm Civet), that gets fed coffee berry seeds. As these berries pass through the animal’s digestive tract, the enzyme inside the stomach changes the coffee and gives it a “special” taste. The beans go through a kind of fermentation process that is said to alter the taste of the bean. Would you try a cup of poopy coffee cupping? The Indonesian coffee culture is robust and booming. It’s cultivated taste and rich history will add new excitement to your coffee cupping and coffee culture. Enjoy!